SNAFU! : Russian AWACS, A-100 takes flight..
Russian AWACS, A-100 takes flight.. This is being reported all over the place so why am I putting it here? Because it is relevant. Notice that the US Navy went ahead with the E-2D a couple of years ago, but we only recently heard about breakthroughs in GaN technology. Because the Russians went second they're able to incorporate (maybe...the article isn't at all clear) the latest tech into their airplane. But there is something a bit more ominous about this. 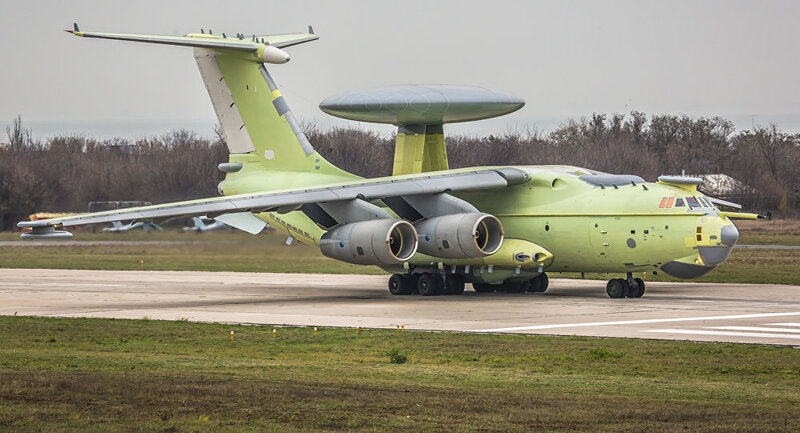 If the AWACS is tied into the Russian Anti-Aircraft complex then we're looking at formidable radars that are both ground and air based. If they're doing this right then they're gonna be able to extend the detection range against our stealth force. The solution is simple but will require a new mindset. Stealth isn't king. We have to be prepared to roll back enemy defenses in the way that retired Admiral Greenert talked about and start emphasizing electronic warfare. There is no easy way. We need to buckle down and get ready to do the hard work required to win.